So I had the absolute week from hell. I haven't had a week this bad in quite some time. It started Monday morning at 0900 when I stuck myself with a dirty needle. Yup. My first time in my 16 year career as a nurse. The safety device did not deploy and cover the needle after I accessed a port a cath. For those who aren't medically inclined-this is BAD! You can get HIV or hepatitis if the patient has these things. Luckily for me, the patient tested negative. That was Monday. The week went downhill from there. Just super busy with putting out fires as I call it. Fixing problems, dealing with issues and not getting my normal work done. Thursday I just got home and cried. I was so happy when I got off work Friday. Do I have a date for today? NOPE. He didn't ask me. I hinted Thursday evening, asking what was on his agenda for the weekend. His reply was, "I have no idea." Then there's the fact that I didn't text at all Thursday cause he'd been weird the evening before. Did he text me? NOPE. Finally at 3pm I texted him. His reply? "Finally." I was like, did you lose your fingers and the ability to text me first? His reply was, "I always text you first." WTF! Are we 5? So I'm over it. I haven't heard from him since the middle of Friday and I'm ok with it. Why am I ok? Well Hottie McHottie messaged me out of the blue on the online site. I'm talking this man is fine people. When I asked him why someone as gorgeous as him would want to talk to me, his reply was, because you're gorgeous. Swoon people. I couldn't sleep at all last night thinking about him. I've got the butterflies bad. He's supposed to text me this morning when he gets up so we can actually talk on the phone. I've got it bad. Cross your fingers that this goes more than two dates! Oh and one last thing. They opened an Ulta near my house. This is bad people. Normally, the Ulta was an hour away and that kept me safe. But this new store just opened up and let's just say that they got some of my money yesterday and I only bought three bottles of polish. The rest were things I had been waiting to get when I was near the further Ulta. They got so much money, I got a free $50 gift! Now on to the mani at hand. Here is your bottle shot. 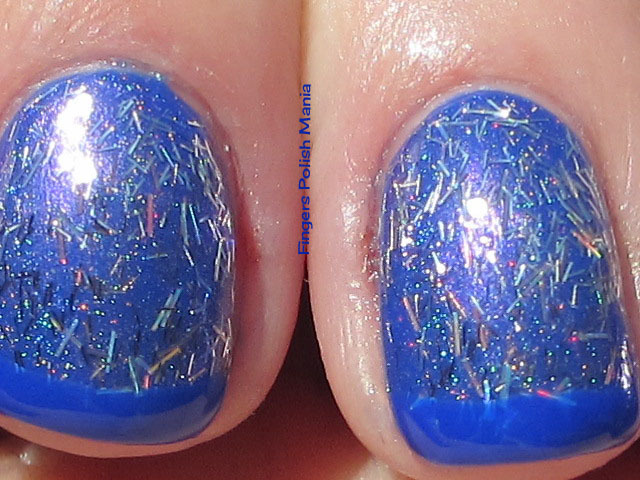 This is Elevation Polish Pic de Sotillo, Zoya Electra and Enchanted Polish Lost My Mind in a Sunrise. 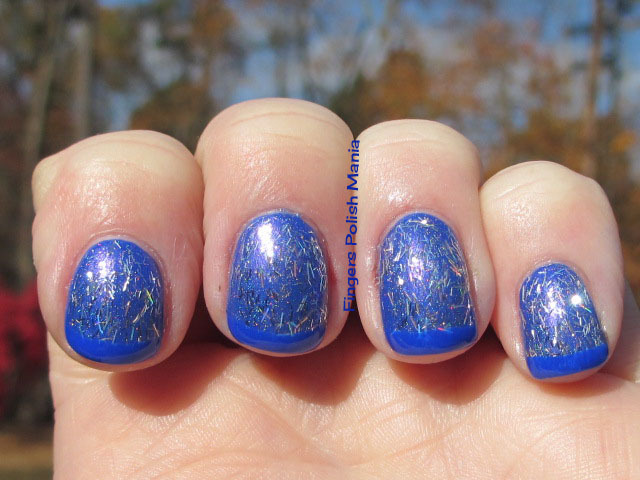 I've had people ask if I will be selling Elevation Polish during my blog sale next week. The answer is no way! I could never part with my babies from Lulu! There will be plenty of other indie stuff though and maybe a Lynnderella or two! Now I started with Pic. 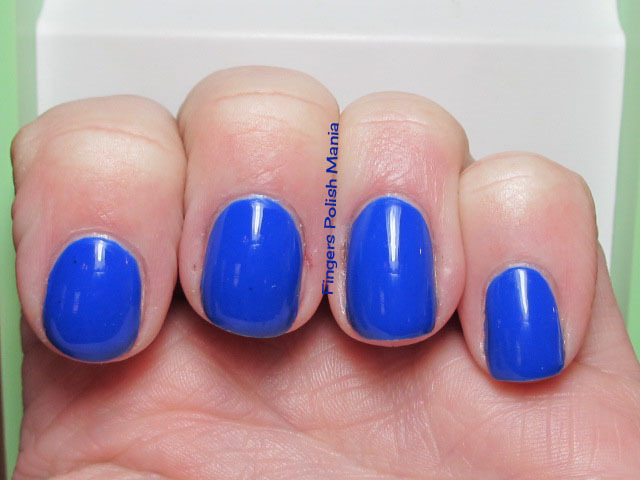 This is a similar blue to Nails Inc Baker Street. I do have both and there are differences. Pic is a little darker I think. Here is the first step. 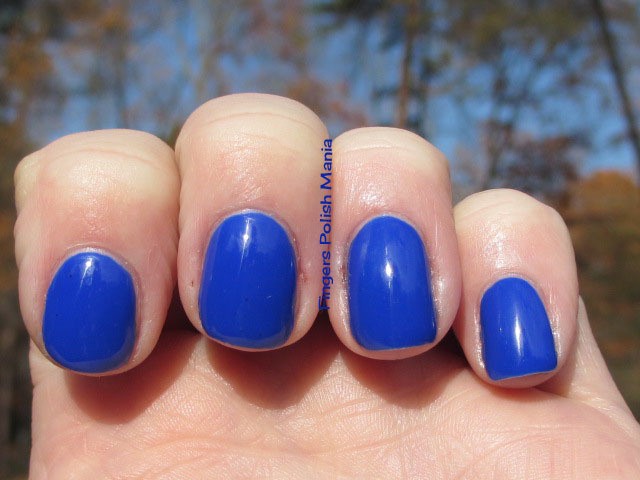 I did not do an accent nail because this is such a stunning blue. This is the last day with some length to my nails. Broke one bad and will have to nubbinize. But look at this blue!!!! Just gorgeous. Next I added a layer of Sunrise, which is a cornflower blue holo. I was going to try and stamp with it, but found out it's very sheer and meant to be layered. Here is that step. Pretty cool so far eh? I didn't want to mess too much with the Pic blue. 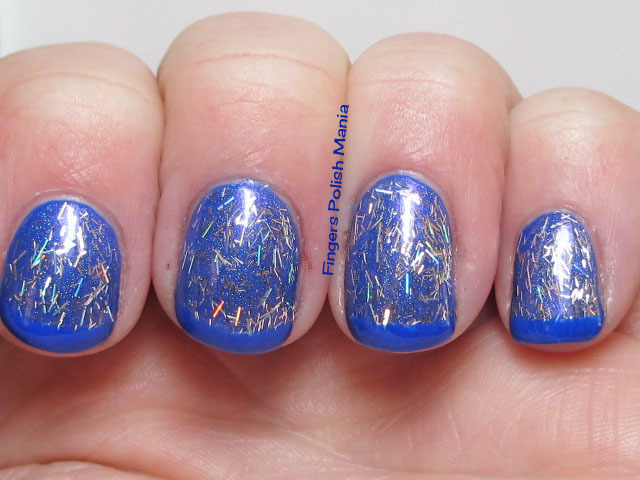 Next I added a layer of my favorite Zoya Electra, which I've shown you before and yet am already wearing it again! 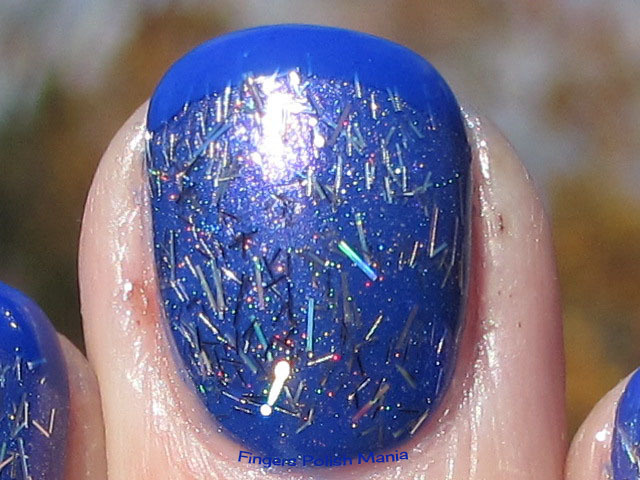 This is a holo bar glitter polish. Here's that step. Oh how I love the bling of this glitter! I then just added my funky using the original Pic de Sotillo because I love it so much! Here are the results. Oh yeah, check out the sparkles and bling on this. It's like a million rainbows in all different angles. I just love this. Don't forget, Elevation Polish has her next sale on the 22nd of this month. Mark your calendars! *EDIT* Kick me out of the nail polish lovers group! I mislabeled this Zoya!! Only one reader noticed this error!!! I labeled it as Storm, which is in fact a gorgeous black holo. This holo bar glitter is Electra. I am grateful to Amber who pointed this out to me. Shame on me!! !